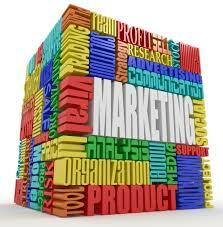 Marketing mix was developed by keeping in view the goals of marketing. This also may be adapted to services marketing. The use of traditional marketing mix in service organizations cannot satisfy themselves because as they are to stay at sub-optimal performance in marketing. Slightly adapting marketing labels cannot resolve the problems that are affiliated with the marketing of services. The four Ps (product, price, place & promotion) are said to be controllable variables of the traditional marketing mix. The effective combination of these four Ps components will make an organization to have a competitive edge in preference by the target market. Marketing researches also identified limitations and inefficiencies of traditional marketing mix when applied to services. In the year 1981 7Ps marketing mix model was suggested by Boom and Bitner to service firms, which was later supported by McGrath and other marketing specialists. In addition to the four Ps in traditional marketing, services marketing mix will have three additional components are Physical evidence, People and Process. Product: Service is an intangible product. It has bundle of features and benefits in it, which have a relevance to a specific target market. As such there is a high level flexibility and opportunity to be innovating in designing a product offer. Physical Evidence: Most services cannot be offered without the support of tangibles. Customers cannot see the service provided, but they can definitely see the tangibles that accompany. For example, a passenger transport organization promises for a safe, comfortable and timely journey from one place to another. Now this is examined on the bases of transport vehicle’s condition, seating facilities and other physical facilities and also the way in which the employees are responding to the customers. All these physical factors are used as evidence by the customer to evaluate and expect the service from the provider. As, a result physical evidence plays a crucial role in shaping the consumers perception as well as expectations. Price: The pricing decision is very critical in the field of services as well. This pricing component of marketing mix alone can determine the revenue for the firm. Consumer sensitivity to price would be higher in services than in goods. However, the basic pricing methods are the same as in goods, but for the pricing strategies for services depends on the understanding of the values of various groups of people that are targeted by the organization. Place (Distribution): Services are intangible and as well as inseparable. These are the two characteristics that do not allow a service firm to follow the same channel options available for goods marketing. Due to the intangible character of service wholesalers and retailers cannot be used. As, the services cannot be stored and cannot be separated from producers, retailing cannot be an independent activity in services marketing. The simultaneous activities in services are Production, distribution and consumption. Services have an advantage of using a direct selling approach, through which services are offered at lower price to the customers. As, this does not mean a direct selling, is the only way of selling the services. There are other channels of distribution such as, agents and brokers, franchisers and electronic channels that are used for distributional services. People: Service organizations are people oriented and people based organizations. Where the employees of a service firm, form into a major competency in undertaking the business operations. In services organization every employee is a marketing person, who undertakes either full-time or part-time service in the marketing activity. For better performance in marketing activity, service employees are to be trained and motivated. Promotion: Consumers are the co-producers in the service business. The quality of services will not only depend upon the performance of service provider but also on the performance of the service consumer. Very few service organizations or service concepts have readily available performers as consumers. As, it is the responsibility of service organization to educate and provide sufficient training to customers to make use of the services efficiently. A well designed promotional program is large help to the organization to inform and advice customers for better experience. Process: The process is a functional activity that assures service availability and quality. The way of physical setting is designed technically and the functions are scheduled and routed to provide promised services to the customers. In simple terms, the management process is to manage the service encounters effectively. Gronroos who was a marketing specialist has described process as interactive marketing wherein moments of truth occur. The challenge of process management is to improve moment of truth. As, the 7 Ps service marketing become the marketing offer of the organization to the target market. The marketing mix aims to achieve seven distinctive goals. They are the matching offer to the consumers’ needs and wants, consumer quality expectations, consumers’ perceptions, consumers’ satisfactions consumers’ relation and consumers’ welfare and protection. The dynamic nature of target market in all the seven different areas offer challenges to marketing organization. As, service firms can be successful only when the marketing mix elements and dynamic and adaptable to the changes in the market environment.